For 2018, Nike will be introducing several new Air Max silhouettes. One of those will be the Nike Air VaporMax 97, which combines elements from the Nike Air VaporMax and Air Max 97 models. 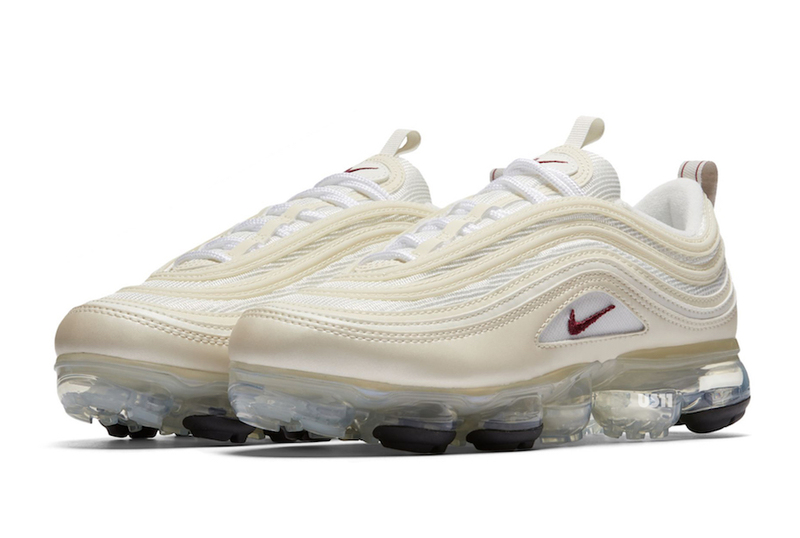 Today, we get a first look at the VaporMax 97 that uses the upper from the Nike Air Max 97 and sole unit from the VaporMax. Additional details includes 3M Reflective throughout the upper. Back in October, we gave you word that there will be an upcoming “Metallic Gold” pair also releasing in 2018 as a nod to the original Nike Air Max 97. No release date has been set, but the first look at the model shown here is a grade school shoe. Look for the Nike Air VaporMax 97 to make its debut early 2018.